Once a grant is received, the hard work begins of managing the program, tracking outcomes, reporting back to the funder, and applying for additional grant funding. 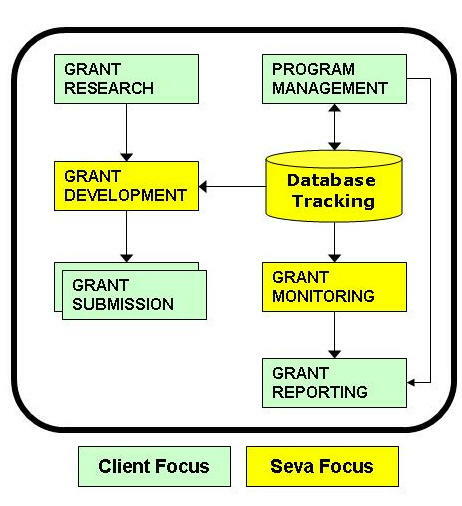 Seva Grantwriting works at both ends of this spectrum -- developing grant applications and assisting with performance and grant monitoring. At a high level, the following diagram shows this process.